Season 2 of HBO’s blisteringly funny political satire Veep ended with Vice President Selina Meyer (Julia Louis-Dreyfus) deciding to run for president. 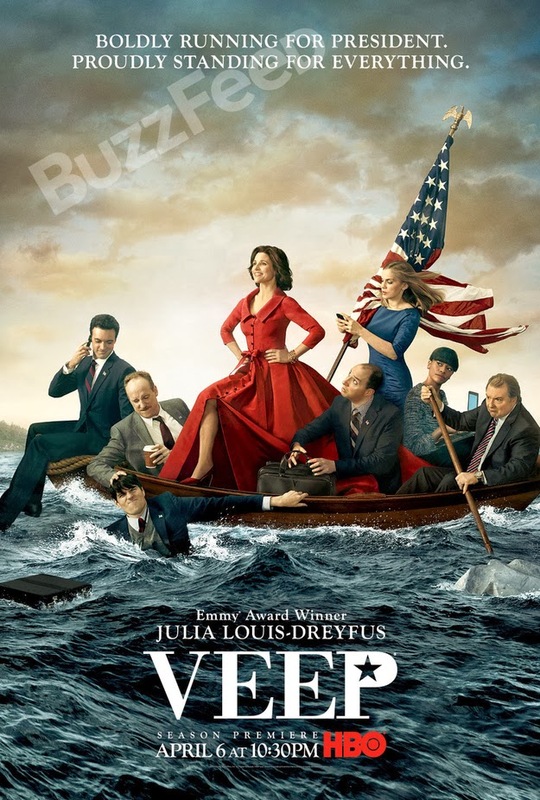 But don’t assume Veep’s official Season 3 poster — which pays homage to Emanuel Gottlieb Leutze’s “Washington Crossing the Delaware” — means her campaign is destined for greatness. Per usual, however, the biggest threat to the veep’s success comes from her staff, who adopt a take-no-prisoners attitude this season as Meyer inches closer and closer to the Oval Office. But every character — Selina Meyer especially — will have a moment of weakness this season and will question whether or not they’re actually qualified to occupy their dream job. That’s why Iannucci feels Veep’s Season 3 poster perfectly represents the next stretch of episodes.